We will be launching Kevin Chong's My Year of the Racehorse: Falling in Love with the Sport of Kings at the Librairie D+Q on Thursday April 5th at 7 pm. RSVP on Facebook! Kevin Chong has grand plans. He draws up a to-do list of major milestones that will give him the life he always wanted-- and the life that will inspire awe and envy in his friends. 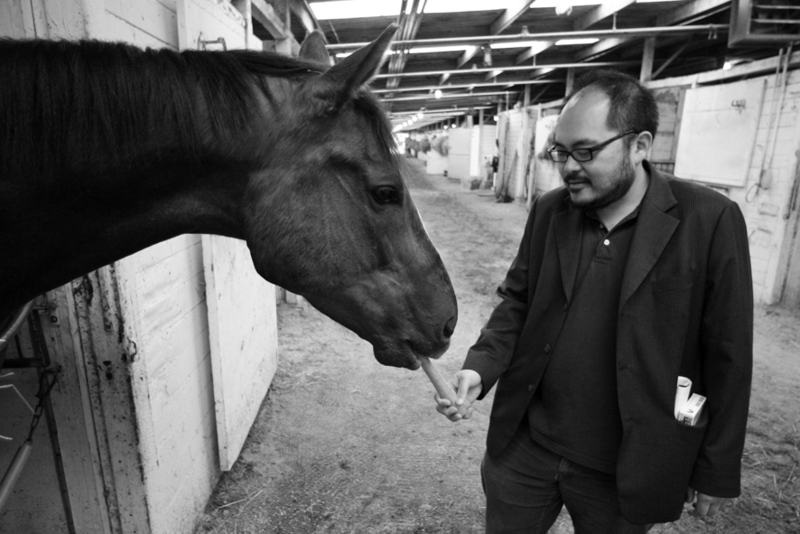 Then Chong makes an unconventional decision: he buys a racehorse. He becomes part-owner. Just don't ask him which part. 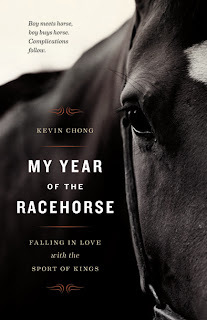 Written with keen observational humour, the story is infused with the excitement and faded glamour of the horseracing world. Ultimately, it is the moving tale of a young man's discovery that a meaningful life can arise from the most unexpected of circumstances. Well hello there, Kevin & friend! !